Sharknado. If you've seen it, you've probably said aloud the same words that make up the title of this podcast - “How did this get made?”. Of course, Sharknado 3 was out earlier this year, and this podcast has previously asked the question “How did this get made THREE TIMES?”. This podcast looks at some of the all-time... well, you couldn't really call them classics. This looks at the movies that stink, the movies that are so bad that they become good. The most recent show, featuring Orphan Black star Tatiana Maslany as a guest star, alongside regulars Paul Scheer, June Diane Raphael and Jason Mantzoukas, rips apart the 1987 muscle-rippler Masters of the Universe. 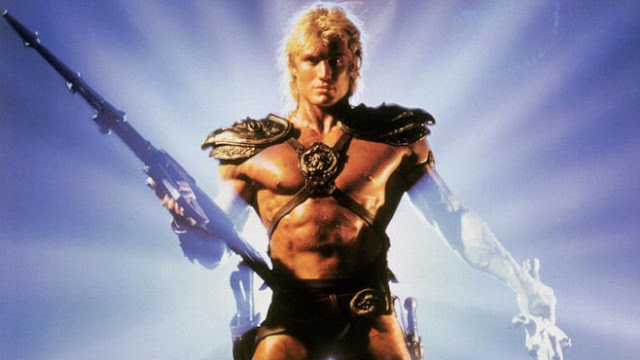 From the plot, which cannot be explained by even the smartest people on the planet, through the fact that lead actor Dolph Lungdren couldn't speak English at the time of filming and was supposed to be dubbed over later but the money ran out... the podcast team cheerily tear shreds off every awful part of the movie. The final fight is filmed in almost pitch darkness (the producers had so little money they were literally unplugging equipment during filming), and speculate on how the plot should have gone. As awful as it was, and as little money as it made, there were still plans to make a sequel – which also ran out of money and lost the rights, so producers used the sets and costumes already made to make early Jean-Claude Van Damme action flick Cyborg, which despite being incredibly low budget was ten times the movie that Masters of the Universe was. Other movies butchered by the podcast team include the likes of Furious 7, Zardoz, Jupiter Ascending, Con Air, Daredevil, Deep Blue Sea and many more. I draw the line at their mocking of Hallowe'en 3: Season of the Witch, though. That's a genuine classic. The Wikishuffle team shamelessly tweeted me urging me to take a listen – prompting the theme of this week's column. Shamelessly. And I'm awfully glad they did. Their schtick is to take a look at the weirder things to be found on online encyclopaedia wikipedia, and to roundly mock them. The team won the best comedy podcast award in the UK Podcast awards this year and it's easy to see why. They have the relaxed, mellow air of good friends in a bar, mercilessly taking aim at one another as much as the topics they discuss. And those topics – you don't always think there's humour to be found in them, but these guys do so. 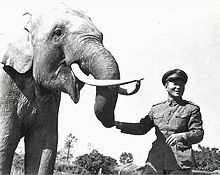 The most recent episode opens with the story of an elephant called Lin Wang that served with the Chinese Expeditionary Force from 1937-1945 and became the most famous animal in Taiwan. Now, I'm no expert, but I don't look at that initial story and think comedy gold – but the Wikishuffle team clearly think differently, plundering the story for all it is worth. From there, they briskly move on to an analysis of 44 shades of pink, their names from champagne to tickle me – yes, tickle me is the name of a colour of pink – and, latterly what those shades have been used to signify. That includes how different shades have been used to signify sexual interests. Keep easily offended ears away from this section. The episode rounds off with an examination of American actions in the Korean War which even this talented team can't fire up the mirth for – but if you have two parts comedy, one part education, that's not a bad cocktail. Lastly, comedy favourite Greg Proops from Whose Line Is It Anyway? has a regular podcast. Part trivia, part memoir, part channel for his stand-up routines, the unflappable and unstoppable Proops blasts through his look at the ridiculousness of life – from newspaper headlines to TV adverts for children's toys such as Operation. More scattergun in its aim than the podcasts above, but why limit a genius like Proops?